Digital ads, including online ads and mobile ads, are a growing tendency in Vietnam and is believed to witness high growth in the time to come. Nguyen Tien Dung from Maxus Vietnam, a subsidiary of GroupM, affirmed that advertisement on social networks has become the choice of a lot of enterprises and brands. According to Dung, more than 30 million Vietnamese access to Internet every day, of whom, 86 percent access to social networks. 81 percent of the social network’s members have the habit of sharing their shopping activities with friends and relatives. Facebook is the most popularly used social network in Vietnam which has attracted 14 million members, including the 11 million accessing to social networks with their mobile phones. It is estimated that every user spends 40 minutes every day on social networks. The two actions that the Vietnamese Facebook users in Vietnam most commonly take is pressing “like” and pressing “comment,” according to Dung. This is unlike the developed markets, where Facebook users more usually use their operation to “check in” and post photos. The findings about the high number of social network members and their habits show the great potentials of the digital ad market and the high efficiency of this type of ad. However, speaking at the dialogue about digital ads on November 20 in HCM City, Dung said it is still not easy to take full advantage of the digital ad. Also according to Dung, the majority of businesses reserve limited budget for digital ad, just about 5 percent of the total budget for marketing and ads. Phan Quoc Cong, General Director of ICP JSC, a consumer goods manufacturer, said his company began planning ad campaigns on Internet some years ago already, when it realized that more and more people spent their time surfing on Internet. ICP’s marketing budget, according to Cong, has been set up in the 70-20-10 structure. 70 percent of the budget is spent to run on traditional mass media, mostly television. The other 20 percent is spent to run ads on new channels which the company can see the reasonable efficiency, while the remaining 10 percent on the newly discovered channels which still cannot show the exact profits. An ICP’s ad campaign on television costs one million dollars on average. Meanwhile, an ad campaign on Internet costs $100,000 only, or 1/10 of the budget for television ads. These are the total sums of money spent on all phases of the ad campaigns, from creation, production and posting. 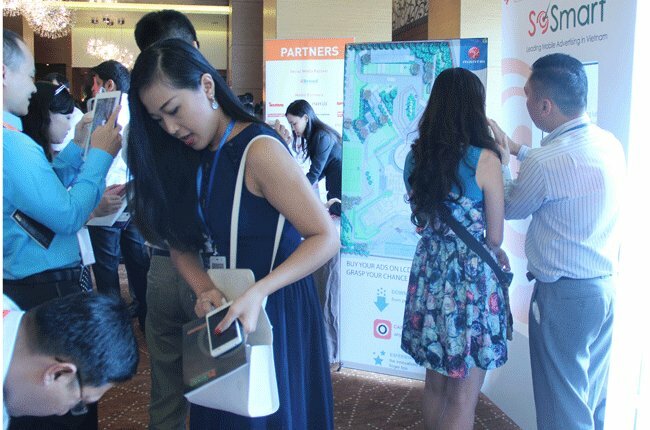 Le Ho My Duyen, a senior executive of ICP, said she thinks that it would be better not to separate the ads on social networks, but it should be integrated into other traditional ad channels, from TV, print newspapers to other brand promotion activities. According eMarketer, a market survey firm, the Internet ads brought the turnover of $26 million in 2012, accounting for 2.9 percent of the market’s total turnover. The firm has forecast that the Internet ad turnover in Vietnam would rise to $32 million in 2013 before it reaches $45 million by 2015. In the first half of 2013, the total ad revenue on mass media in Vietnam, according to Kantar Media Vietnam, reached VND11 trillion, of which 92 percent was created by television ads.